Emile Smith Rowe was impressive on Thursday night | Photo: Arsenal. The Gunners are now joint top of Group E with Sporting Lisbon, who they face in Portugal on the next matchday. Unai Emery was happy that Arsenal suffered during their 3-0 victory against Qarabag FK in the Europa League on Thursday night. "But I want to suffer"
Despite the comfortable scoreline the Gunners were stretched at times defensively against a side that drew twice to champions Atletico Madrid last season. “Their mobility, their quality in above all the first half, I think we suffered in the match. But I want to suffer,” Emery said. “I want to not find easy matches, like today. Then, in our moments, to show you and show them our possibilities, our quality and our organised moments. I think in the 90 minutes today, the team worked very well," he added. Along with the result, Emile Smith-Rowe’s performance was another positive to take from the evening, as the 18-year-old registered his first goal for the Arsenal first team. When asked what he likes about the Englishman’s game, Emery said: “A little bit of all the qualities he has: physical, mentality and quality with his right foot. Working in combinations with other players. “He is humble and he is humble to listen every day in training, in the video analysis and also before the match to continue improving and to keep taking one step more, like today. Emery also commented on Smith Rowe's ability going forward. 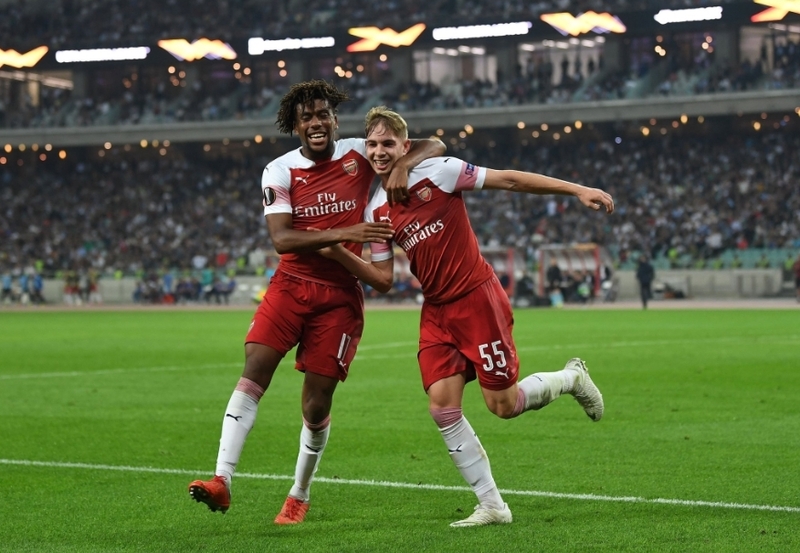 Another player that performed strongly was Alex Iwobi, who continued his impressive start to the season by setting up Smith-Rowe for his goal. Emery was asked whether he will feature against Fulham this weekend and whether there will be many changes to the team, with the likes of Pierre-Emerick Aubameyang and Aaron Ramsey expected to return. “For us, each match is very important to show us and for them to take responsibility, take confidence and take rhythm. Each match is one exam for them. I am very happy with how they are responding on the pitch. “Alex Iwobi is another player who is the same. When we arrive on the match at Sunday against Fulham, it’s also very important that we decide the best eleven and the players on the bench for continuing together in this way, away at a very good and difficult team like Fulham." The Gunners take on Fulham at midday on Sunday.